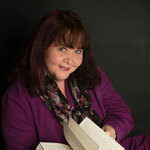 Linda Lowery is an author, storyteller, and library lady. Linda Lowery has been a library lady and a storyteller for most of her life. She received her BS in English with a concentration in Creative Writing from Bradley University, Peoria Illinois. She found that there was always one more story waiting to be told. Working over forty years in academia and public libraries she uses her love of literature and storytelling to share some fun times and great stories.